Set in a picturesque location and offering both families and ravers a diverse range of alternative, dance, electronica, and chilled beats from live bands and DJs. The music programme is a mix of everything from legends to new talent, plus a whole range of musical styles from rock, folk, jazz, African, dub, and unique collaborations. Aside from music the festival also has art, films, poetry, cabaret, visuals, and gourmet food. The dates are from Thursday 4th until Sunday 7th August at the site which has four lakes, thick woods and an arboretum at Eastnor Castle in Herefordshire. The Chemical Brothers, Kanye West, Rodrigo Y Gabriela, 2manydjs, and James Blake top the line-up. Also confirmed are Neneh Cherry, Wild Beasts, Electrelane, Mahala Rai Banda, Ariel Pink's Haunted Graffiti, Jessie J, Metronomy, Janelle Monae, Crystal Fighters, Robert Plant and Band Of Joy, Warpaint, Femi Kuti and the Positive Force, Norman Jay, About Group, Chipmunk, Plastician, Aloe Blacc, Hercules And Love Affair, Horace Andy, Fenech-Soler, Cubic Zirconia, Calvin Harris, The Midnight Beast, Example, Chris Cunningham, Baio, North Mississippi Allstars, Fight Like Apes, Digital Mystikz, and more. For the line-up details, day and stage splits as available please click here. Tickets are priced at £165 per adult with a maximum of 4 tickets able to be bought per household, teen tickets (13 to 15 years old) are priced at £85, and kid (12 and under) tickets are priced at £5. Day tickets are priced at £75 for Friday, Saturday or Sunday. To buy, click here. The Big Chill offers a highly evolved, all-round experience for 30,000 people including a wide variety of music and performance, art, spaces for kids, comedy, dance and film; technology and its relationship with nature; identifying artists and nurturing their creativity. There's an extensive arts programme at The Big Chill, which promises creative, interactive and immersive experiences across film, dance, comedy, cabaret, visual art and more. See news stories for details. The Big Chill's Art Trail will be an interactive affair, this year Ron Arad, Gavin Turk, Richard Woods and Jim Lambie have designed Ping Pong tables for the festival courtesy of Saatchi Gallery. Also featured are several up and coming artists courtesy of Saatchi Online and the return on Benson Trent. Greenpeace, Heathensk8 and Third Foot have teamed up to bring a skate ramp to The Big Chill this year. Constructed using only forest certified timber (FSC approved), wood from a sustainable source, the ramp is both challenging and entertaining. Mornings see workshop sessions for beginners and improvers and throughout the day the pro's will be doing their thing with plenty of time for festival goers to take to the ramp themselves. So be sure pack you skate board alongside your wellies for 2011's festival. There will be a full programme of workshops, performances and creative activity. Latitude will offer dedicated fully qualified festival childcare professionals who will provide bespoke childcare at a 'mini festival' of their own the Boutique Babysitting kids club. Parents will be given the chance to drop off their little ones at a choice of two 4-hour sessions, with the later one taking place after the festivals' own Children's Area has closed up for the night.  Children will be invited to explore and experiment with their own music studios, production, wardrobe and stage areas; make new festival friends; play games and generally enjoy some parent-free fun at their very own festival. Coach travel can soon be purchased online, with or without combined festival tickets. To buy coach tickets, click here.